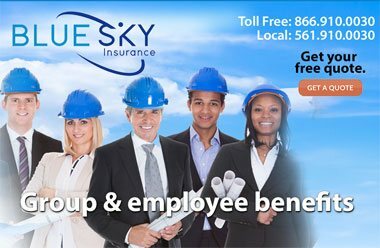 insurance policy from Blue Sky Insurance with competitive rates and peace of mind. You don’t have to be a millionaire to be sued like one. Million-dollar judgments against individuals for negligence are climbing up – don’t take that risk! If you are taken to court and you only have $100,000 (or less) of coverage, the consequences maybe financially disastrous. 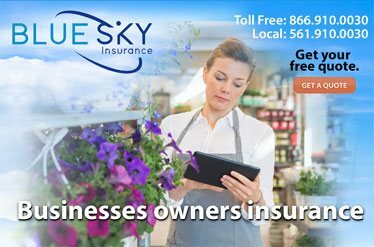 Prepare yourself with a personal umbrella insurance policy from Blue Sky Insurance in Boca Raton, Florida. You can definitely avoid this risk by protecting yourself from a scenario where your "regular insurance" isn't enough. 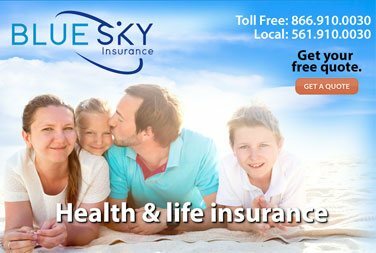 A personal umbrella policy is called an "umbrella" policy because it provides liability coverage over and above your standard Florida auto insurance policy or Florida home insurance policy. It offers protection for you and your family against large and potentially devastating liability claims or judgments. In short, a personal umbrella policy kicks in right where your other liability underlying limits have been reached. Personal umbrella policies are optional, but they do provide extra protection. Here's an example of why you might want one: You're at fault for an accident that injures another driver. 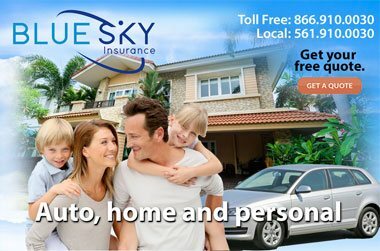 Your auto or homeowners policy liability coverage pays up to your limit; let's say it's $250,000. But the other driver has a high-paying job, and she can't work for six months because of her injuries. Now she's suing you for $1 million, and your car insurance only covers $250,000. Your personal umbrella policy can cover the difference up to your policy limits. Typically, personal umbrella policies are available in million-dollar increments from $1 million to $5 million.